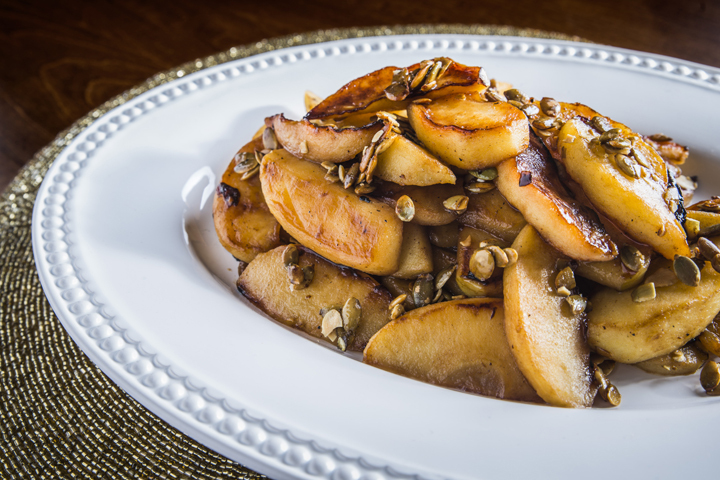 Simple and easy to prepare, these Browned Butter Roasted Apples with Toasted Pumpkin Seeds will become a seasonal favorite and the perfect addition to your holiday meals. While I was in Ohio working in the culinary center for Certified Angus Beef back in October, the chef (Chef Ashley) I was working with helped me come up with the perfect side dish to go with my delicious Holiday Steak Bruschetta with Thyme Mayo and my Garlic-Herb Crusted Strip Roast. I wanted to somehow incorporate apples into whatever side dish I ended up doing since they are so popular for holiday meals during the fall and winter months. This is what Chef Ashley and I came up with. 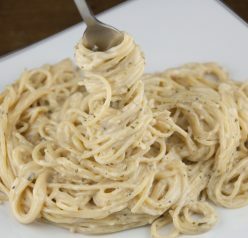 You only need three ingredients to make this dish, believe it or not! These roasted apples were SO easy to make. Don’t they look too gorgeous to be so incredibly simple? ANYONE can make this. Your holiday guests will be blown away by both the taste and the presentation. The process of roasting apples, which is basically a high-temperature pan roasting process with just butter, gives these roasted apples a wonderful, deepened flavor and a great chewy texture. The crunchy pumpkin seeds (or Pepitas) were the greatest addition to the soft apples. The taste and texture of the apples and pumpkin seeds together was out of this world. I’m big on textures. I had a lot of fellow food bloggers that were with me in the kitchen that day I made these and many of them walked by and had to sneak a taste. I don’t blame them as they looked irresistible with that nice golden color – not to mention the amazing smell! Your house will have the best aroma as these cook. Brown butter in a skillet or frying pan on medium-low heat until hot enough that the apples sizzle when added. Add half of the sliced apples and bump up the heat to medium-high. Brown apples on both sides until a nice brown, caramel color. Remove from pan and place on a platter. Add more butter if needed and repeat process with the second half of the apples. Sprinkle toasted pumpkin seeds over the top before serving. This gives a nice crunch to the soft apples and a beautiful presentation. Enjoy! Ashley – this is just so gorgeous!!!! And its only 3 ingredients!!! Thanks so much for this flavor and texture filled dish!! You had me at browned butter. Ha. Sounds delicious! My first thought when I saw your photo was that these were scallops! That’s how pretty your roasted apples look! What a great way to use up apples! 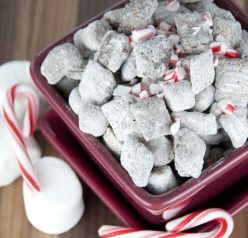 Yum, these look delish! I think I’ll try them. Thanks! Thank you! They are easy!! I love roasted apples, how delicious! Nice. I have a bunch of apples and this is such a quick and delicious dish. You had me at browned butter…I can’t resist anything that is made with browned butter! These look so delicious, and I love how few ingredients there are – so easy! Gotta love a three-ingredient recipe! Especially one as delicious as this. This looks crazy good! Love browned butter! Oh darn – where was I when the samples were being passed out for this dish?! This looks delicious!! Oh my gosh, yes – brilliant! 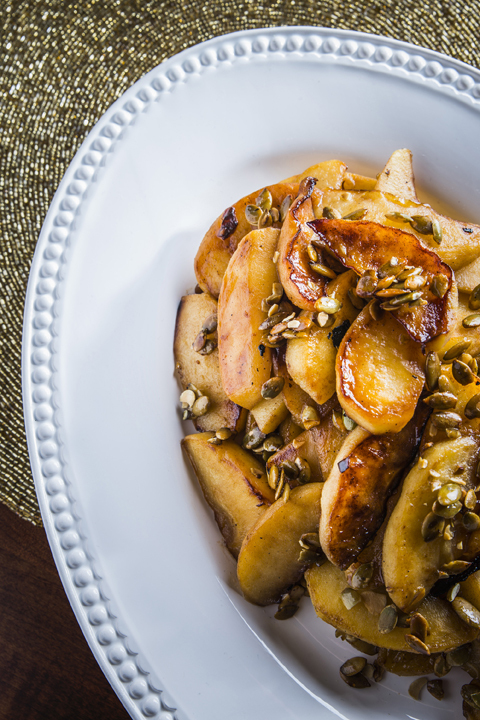 How could brown butter and apples not equal perfection? Trying this soon! You’ve managed to make me crave apples in the midst of x’mas cookie mania! 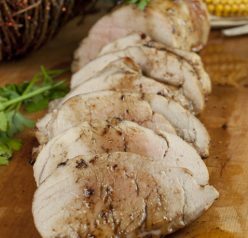 Those apples are roasted to the perfect golden-brown tenderness! The brown butter factor can only make it more delicious. I can definitely imagine these as a side dish or ice cream topping. Maybe a touch of brown sugar or maple syrup. Now you have me hungry! The crust on those apples looks insane! Plus I’d never consider them for a savory side but now you’ve changed my mind. These look amazing! Love browned butter…yum! I make something very similar, minus the pumpkin seeds. I love that idea. Thank you! It is a favourite dessert and I like your addition of the seeds! Wow, the flavor, the crunch – this is a simple but spectacular dish! Must have been a blast developing a recipe with a chef!